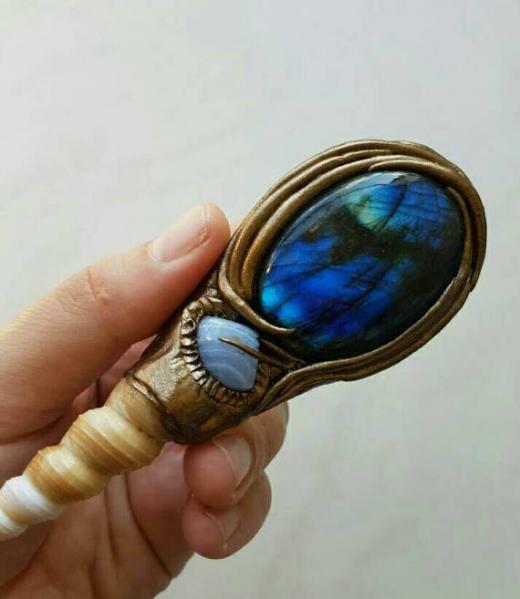 The Enchanted Lote Tree is a lovely store run by Ebru from Sydney, Australia that shares an enthralling collection of her own creations. Mystical and inspired by Nature all pieces of jewellry and Terrariums feature crystals, minerals and gems. They often featured hand sculpted leaves and organic elements inspired by the elements. The polymer clay parts often swirl like vines around the gems, mossy patches, sculpted bark and lichens... somehow the pieces exude a raw, organic, nature vibration. In her own words "The Enchanted Lote Tree offers enchanting handcrafted art, inspired by Natures sweet enchantments and specializes in unique handmade crystal jewelry pieces hand sculpted using polymer clay & intuitively created crystal terrariums and gardens"
Her work indeed shows a fascination for magical things, and most of the peaces have that "organic" made by fairies look. 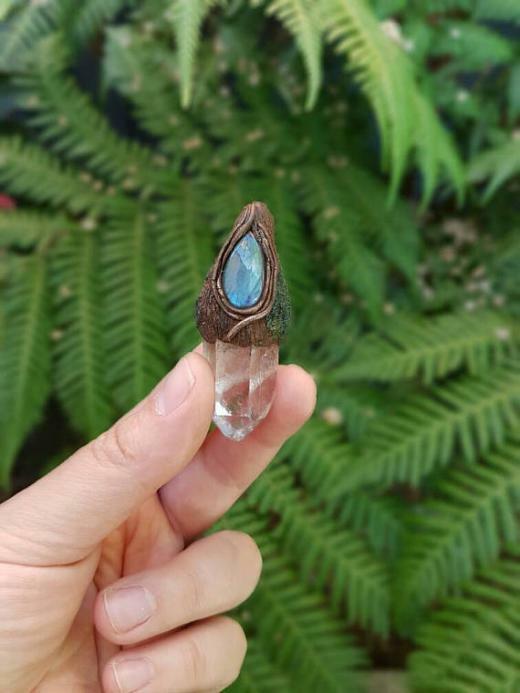 Featuring crystals and gems, the pieces seems to channel their own energy, maybe because of the love and care they were made with. Above: mermaid pendant built on a natural seashell and featuring a gorgeous large blue Labradorite, with the shades of the deep ocean and light filtering through some shallower spots... really beautiful. 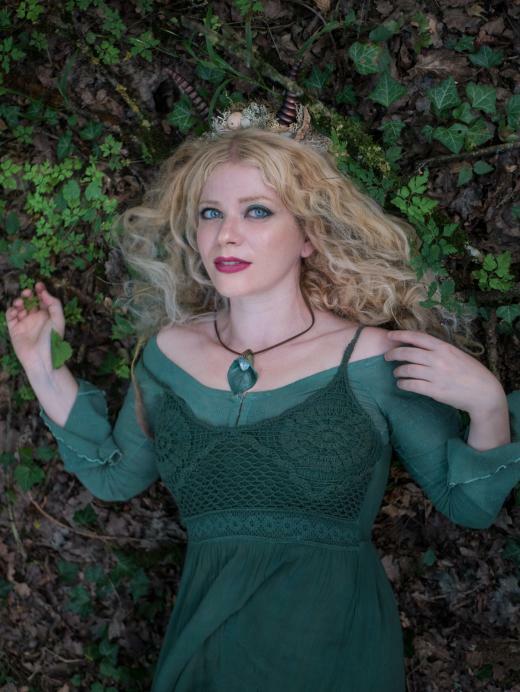 Below: myself wearing a lovely hand sculpted polymer clay leaf with quartz courtesy of The Enchanted Lote Tree.